It was year 1925, late evening by the Polish-Czechoslovak border. Three women pilgrims were returning in the mountains from the Slovak village of Gabultov in Western Lemkovyna: Glafiria Demianczyk, Teodozja Demianczyk, and Maria Gawlik. 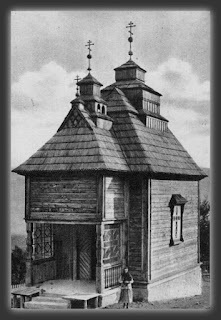 In those times, the indulgence celebrations in Gabultov attracted masses of pilgrims every year. The Greek Catholic Lemkos participated also in the Roman Catholic celebrations. It was probably on one of those festive days when the three women from Wysowa returned home from the pilgrimage site ten kilometers away. It took place just seven years after the new state border has been marked out. The local folk was still unaccustomed to this new borderline and often ignored it the while visiting places on its both sides. The return path near the border led through the valleys of Cigolka and Zarubanec, overgrown with alder, where the border guards' eye could not reach. However, the last three hundred meters before entering the Polish territory had to be passed in the open field. That surely must have caused the three women's hearts to beat faster. Therefore, once they safely managed to cross the border and enter the nearby forest, they started their prayers to God, grateful for their safe return. Then all of a sudden, a bright light appeared and surrounded them, and with it - a threatening thought that they may get arrested. In an instant, they became paralyzed by fear and stood still expecting guards. Motionless, they were listening and awaiting the upcoming peril. However, the horrible silence filled with tension seemed to last suspiciously long. 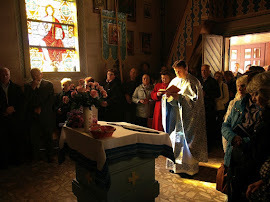 Eventually, the light disappeared and the women, not aware of what actually happened, feeling relief that the threat did not become true, completed their prayer with a triple sign of the cross, and then hastily continued their way home.